This article is dedicated to those Android multimedia apps that you will not get in Google Play Store, but they are equally good or more than just good. Google in many cases does not accept apps whose principals do not match with Google’s, or who do not follow their rules and regulations or in one word those who violates their rules of guidelines. So here in this article, I will be discussing 10 awesome android multimedia apps that also have the exceptional quality to give you extreme entertainment and pleasures. VideoMix is an android app where you can get to watch maximum amount of latest movies and TV shows. Their content is very organized, so anyone who wants to search out their favorite shows can get it very easily. Their team is also very much organized. So they do a frequent updated and as a result, you can search out your latest TV shows releases without any botherations. With the help of Popcorn Time, you can enjoy watching hundreds or even thousands of movies and TV shows just directly from your Android devices. You will no need to download anything for making your watching possible. Popcorn app is just like Windows version. They took the .torrent file of your desired wish and then transmit it to your any android devices. Just go and check your WiFi connections to use this app in a relaxed way. Showbox is one of the best alternative apps that you can find on Android for watching and downloading your movies and TV shows. Showbox is very simple and understandable to operate, and a large number of contents you will get to enjoy. Not only that, using this app you can also enjoy to listening music and can also download the music. With the help of TubeMate you can download your favorite videos from youtube directly into your mobile phone. Not only that, you can also save down your favorite shows into your mobile SD card so that you can enjoy watching it later. This app is very easy to use and you can simply enjoy any type of videos in just a second. Videoder is really a powerful tool that will help you to search for any type of videos by using your favorite search engine, and that will help you to tally with any video sharing service providers like YouTube, Vimeo or others. And as a result of that, you can enjoy downloading those videos directly into any of your Android devices. This app will give you the power to download your favorite videos in the quality you want. The resolution you can choose is from 240p to 1080p. Dood’s Music Streamer is an application through which you can transmit or receive thousands of songs directly from your Android smartphone or tablet. And as a result of this, you can listen to your favorite songs by downloading these songs even when you are not into your network area. So from now onwards you can listen to your favorite songs from anywhere. TV Portal is a mind-blowing application through which you can be able to watch many of your favorite movies, your favorite T.V serials and many of your favorite programs directly from your Android devices. This app can be ideal for your tablet device but you can enjoy this app on your smartphone as well as on the big screen. OG YouTube is an ideal YouTube client who will help you to download any videos from YouTube directly into the memory of your Android device. You can choose the video resolution as per your choice. The songs can be downloaded in mp3 format. TinyTunes is an app, especially for music lovers. Through the help of this app, you can either listen to music directly from any website with the help of the WiFi or 3G connections or you can download thousand or even more songs to your Android device. The download system is also very fast and you can enjoy your downloading very quickly. Mobdro is an app where you will not only able to choose the movies, TV shows but here you will also be able to choose different TV channels or movie channels for watching those. Enjoy your favorite episodes or movies directly from your Android devices non-stop. So from now you can select your favorite TV channels or movie channels to enjoy your non-stop episodes, movies, sports, news, or anything you want. 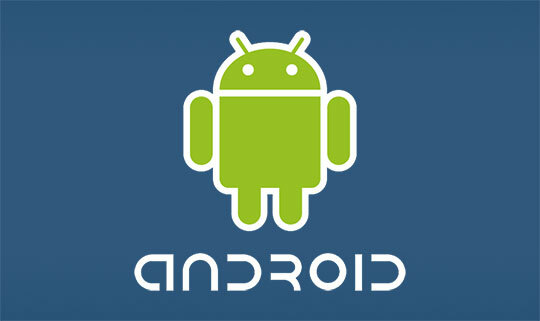 The above 10 Android apps are really very useful and interesting like the apps you are getting from Google App Store. But due to any of the reason those apps are not getting to enter the Google App Stores. But it doesn’t mean that those apps are not good. So if you are new or not even tried those apps then go and enjoy these apps in a mind-free way.